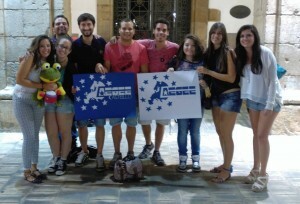 Congratulations to AEGEE-Castelló! They are the ACTive Local of the Month of August. They organised a Summer University (SU) with AEGEE-Valencia, and this great collaboration brought loads of success with it. They are not only the ACTive Local of the Month, but also the most applied-for Summer University. We spoke to Paula Rodríguez from AEGEE-Castelló. ACT: Congratulations! Please, tell us a bit more about your local. 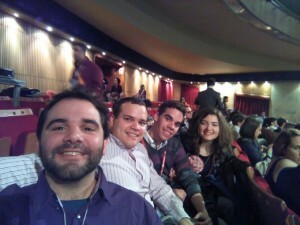 Paula: AEGEE-Castelló was a small local, but now we have around 115 members thanks to all our effort as a team. We are proud of last year’s results. We have organised several local activities, such as training courses and team building activities, and of course a Summer University together with AEGEE-Valencia. It was an amazing feeling to know that we were the most applied-for Summer University! ​You organised the Summer University, including two workshops that have contributed to the Action Agenda. Can you tell us more about ​your events? The Summer University was about learning the Mediterranean history of the Valencia and Castelló regions through its castles and festivals. We chose this topic about a year ago, because we wanted to show everybody our culture, parties and important places. Our main aim was to show our participants that we can learn, and enjoy ourselves at the same time. We have a region full of beautiful landscapes, interesting places and special food, that our participants loved discovering. We had two workshops on the importance of the Action Agenda while paying special attention to Youth Unemployment and Civic Education. We also talked about the four focus areas, all of which were presented at Universidad Politécnica de Valencia during the SU. Why did you decide to organise this SU and workshops? We loved the idea of doing a SU this year. The last SU organised by AEGEE-Castelló was in 2010, five years ago, and after the elections in September, we had a new team that was very motivated. A few meetings later, we started this amazing project. Finally, we worked together with AEGEE-Valencia and we had eleven organisers and twenty three participants. As a result, the number of active members in our antenna increased, and now people know more about AEGEE-Castelló. Once we planned the SU, we decided to include two workshops about Youth Unemployment and Civic Education. As you know, young people have difficulties in finding a job in Europe, especially in Spain. So it was really important to talk about the situation in Europe and how AEGEE is working to find a solution. Also, we focused on how to write a resumé and a cover letter, how to prepare for a job interview, how to face some common and weird questions, and how to find a job. Finally, the workshop about civic education tried to teach important values about taking care of our local environment as European citizens. Therefore we got to connect entrepreneurship and civic education in two workshops. We had 23 participants from all over Europe, and the feedback was really positive. Now new and old members are really motivated to organise different events and activities during the whole year: SU, an European event in March, some Local Training Courses (LTC), and different activities in our city and in our university. ​Why do you think the Action Agenda is important for the Network, and what would you say to another local that is thinking about organising something related to the Action Agenda? From our point of view, the Action Agenda contributes to improving all the knowledge that we have about the situation in Europe. It’s a great opportunity for young people to give their opinion, and contribute in order to change the future of Europe. We recommend other locals to prepare activities related to the Action Agenda, because they can put in their two cents as well as activate their members and open their minds. Sure. We are organising different local and European activities. On the one hand, we plan an LTC and local activities in the city and university to explain to new members what AEGEE is and its structure, to continue with the youth employment discussion, to teach them how to plan and manage an event in AEGEE, to create a really nice and bigger team to work with, and to spread the AEGEE spirit in our city even more. On the other hand, we are organising two European events. One of them will be in March, and we are very excited about it because it takes place during the city’s festivities called “La Magdalena” and we expect it to be amazing. Last but not least, we will do another SU next summer! It will be about dancing. We will have salsa and bachata workshops everyday, and also other styles such as flamenco, regional dances, hip-hop, breakdance and more. We want the participants to have fun and be able to impress their friends when they go back home. 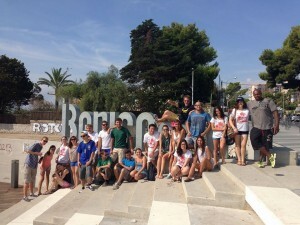 ​AEGEE-Castelló has certainly shown the Network that it can be an example to other locals. What would you say to other locals that want to be as awesome as you? We are very proud of all the work we have done in the previous year. We are a very motivated board that is working together greatly. We would recommend other antennae to work together, talk to each other and share all their ideas and experiences. This way, you will be able to set up amazing projects, workshops and local activities. And the most important factor is motivation! People need to know about AEGEE and everything it offers. It’s a life changer! What starts here, changes Europe.